Not only in kendo, but in other areas of your life you may feel like your physical fitness has gotten weaker. But kendo is a martial art that can be practiced throughout your life. 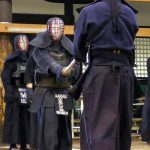 I will introduce some information that can allow you to enjoy kendo even from your 40s when you start feeling your physical limitations. 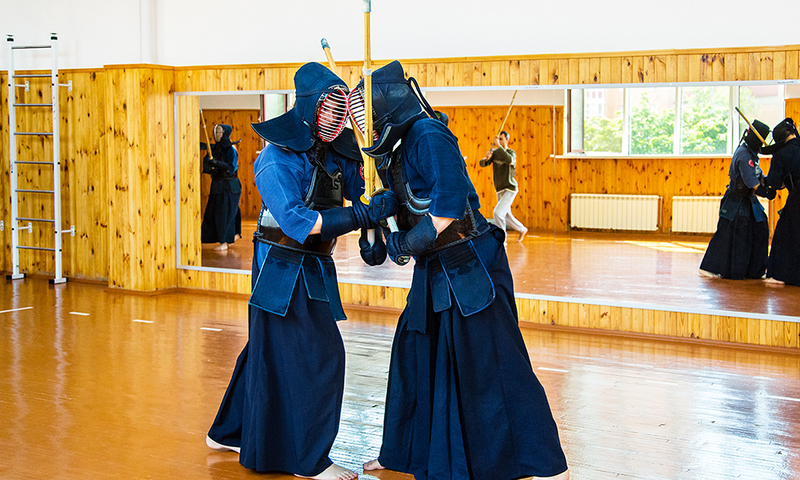 Kendo, unlike judo, is not a martial art where players complete separately in grades. In a team tournament a teenage 3rd dan holder could face a renshi 7th dan holder in his 40s. The younger teenager’s strength is abundant energy and power, but a kenshi in his 40s has the skill and experience that young kenshi lack. The sharpness in their strikes against the men, do and kote are at a different level. Their footwork is also refined and has no wasteful movements. In defense, they are able to dodge their opponent’s attacks better than younger kenshi. 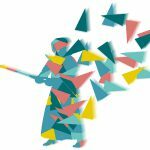 In kendo, the more experienced player has the advantage. When you face young players, if you fight with power it will count against you. Instead of playing their game, force them into playing your own game. Of course, having more energy counts as an advantage in a kendo match. When your fitness is down, you are more prone to injury even in your daily life. During your 40s, when you fitness and muscles start to wear, you need training methods that preserve them. One thing you must remember as you implement training methods to preserve your fitness in your 40s is to not overdo it. It is difficult to train your body with the same mentality as when you trained in your teens and 20s. Try and find a good level for yourself which you can continue long term. When you reach your 40s, your bodily strength and your muscles begin to wear. Your lower body apparently wears faster than your upper body. 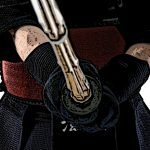 Since the lower body is hugely important for kendo, you should focus on training that part. If you want to train your lower body, running is very effective. Instead of running forever at the same pace, it is good to mix up short, full-speed sprints and long distance running at a fixed pace. The human muscles work best when they are trained in endurance and explosive power. That is why it is ideal to alternate between sprinting and jogging. 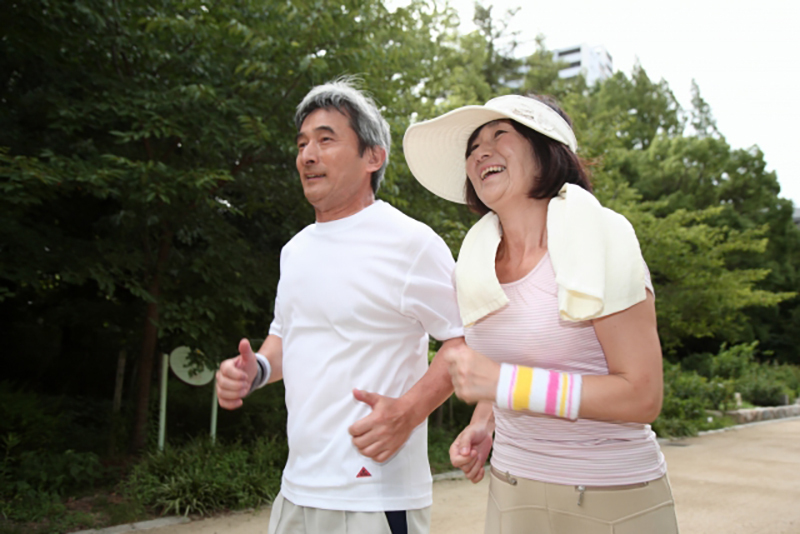 For those who are not used to running or are not confident in their stamina, it may be good start with walking. It will take time to see results, but after two months you should be able to notice your increase in bodily strength. It is good to train your muscles to strengthen your lower body, but doing squats or doing muscles exercise with equipment adds pressure to your body. On that note, I would like to recommend jump ropes. Repeating the same moves and jumping up and down is effective for improving your bodily strength and also your leg muscles. When you have to train indoors or if you don’t have a rope, simply jumping up and down can have similar effects. Jumping straight up continuously for 1 minute can make you sweat quite a lot. This is recommended if there is a fitness club near where you live that also has a swimming pool. Because of the buoyancy, training inside water gives less pressure to your muscles and joints. Not only swimming, but simply walking inside water with water’s resistance puts good pressure on your body, increasing your bodily fitness. 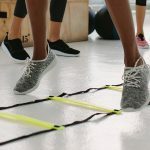 These fitness clubs usually have a specialist trainer, enabling you to talk about your current situation and find the most suitable training. 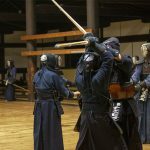 Kendo tournaments can be completed all the way to the final match in one day. As you keep winning, you need to play more matches and you often need to go into matches while the fatigue from the previous match lingers. In the winner-stays system for team matches you can face consecutive matches. In those situations, if you can even regain a fraction of your fitness, you can improve your chances of winning. A good way to do this is through breathing. Humans inflate the lungs as they breathe in, and deflate them as they breathe out. When you do this, focus not on your lungs but your stomach. Inflate your stomach as you breathe in the air, and deflate it as your exhale. When you exhale, breathe out slowly, little by little. This is abdominal breathing. Human breathing becomes shallow when they excited or exhausted. But deep breathing can help regain fitness. This abdominal breathing can also improve focus, so please try it. As you age, your bodily strength deteriorates, but it is not all bad news. 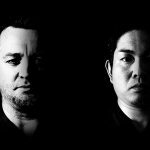 In kendo the 40s can be the turning point. The kendo grades have age limits. The first dan can only be claimed by someone who is 13 years or older. Those who continue training for one year after that can sit the 2nd dan exam. One can continue this process until the 8th dan, but this exam can only be taken from 46 years old. In kendo, other than the dan system, there are titles of renshi, kyoshi, and hanshi. The renshi title can only be claimed for those over 60. In this sense, 40s is only the beginning of the real quest to master to way of kendo.